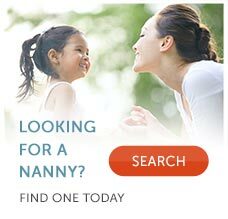 Basic Search: Choose the basic search to get the most nannies in your search result. This search requires minimal search criteria. Focused Search: Conduct a targeted and relevant search using additional search parameters. Nanny ID Search: Often a nanny will contact you first. If you have the nanny's ID number, you can use this search to find her profile quickly. Email Search: Enter the nanny's email address for exact search results. When Writing an Email If you see the profile of a nanny that you are interested in, your next step is to contact her. Since most nannies don't give out their phone number on the site, you can reach nannies you are interested in by emailing them at their address or by using eNanny mail. When writing your email, make it personal and specific to your job and the candidate whom you are interested in. Let her know what in her profile made you think she may be a good match for your job and family. When Making Phone Calls Once you've narrowed down your list of nanny candidates, calling the ones you are most interested in will help you narrow your nanny search even further. During a phone call, you can find out which candidates you truly click with. Good nanny candidates will seem eager to chat about your job, will volunteer information and will readily offer you the names and phone numbers of more than one reference. When Narrowing Your List Down When you find nanny's who you are interested in, add them to your Top Picks list. This handy feature allows you to keep track of your communication with nannies and track your nanny search progress.